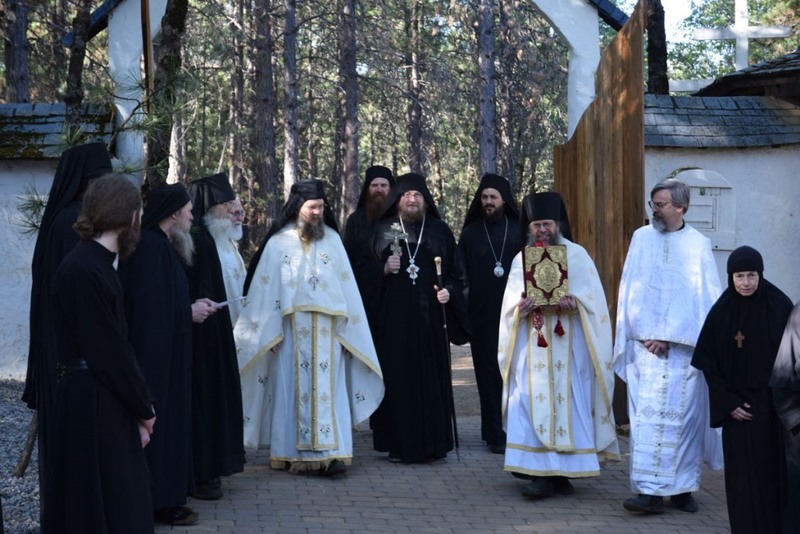 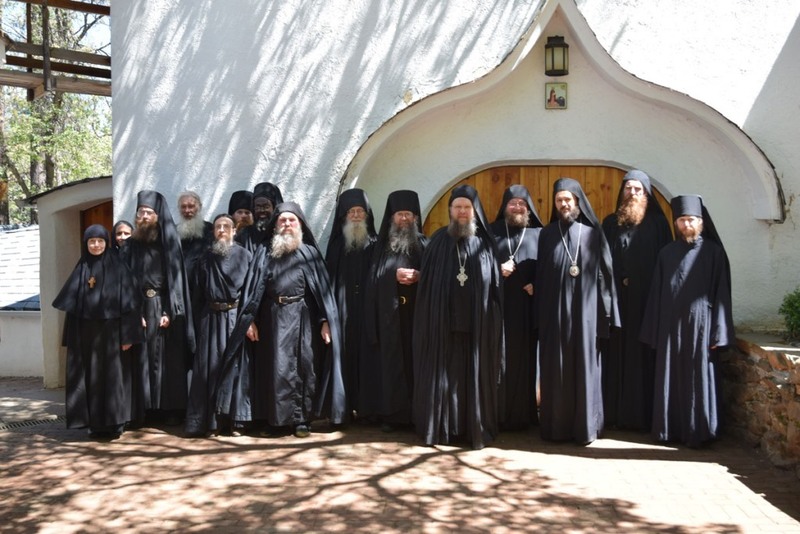 Platina, CA - On Monday, April 27, 2015, His Grace Bishop Maxim visited the St. Herman of Alaska Serbian Orthodox Monastery in Platina, California, together with Abbot Sava and Hieromonk Dimitrije of the ancient monastery of Dečani in Kosovo. 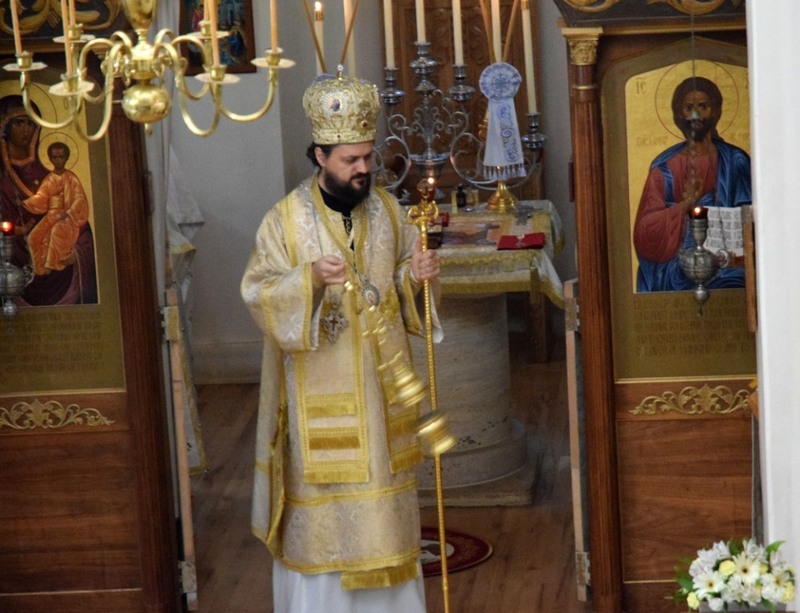 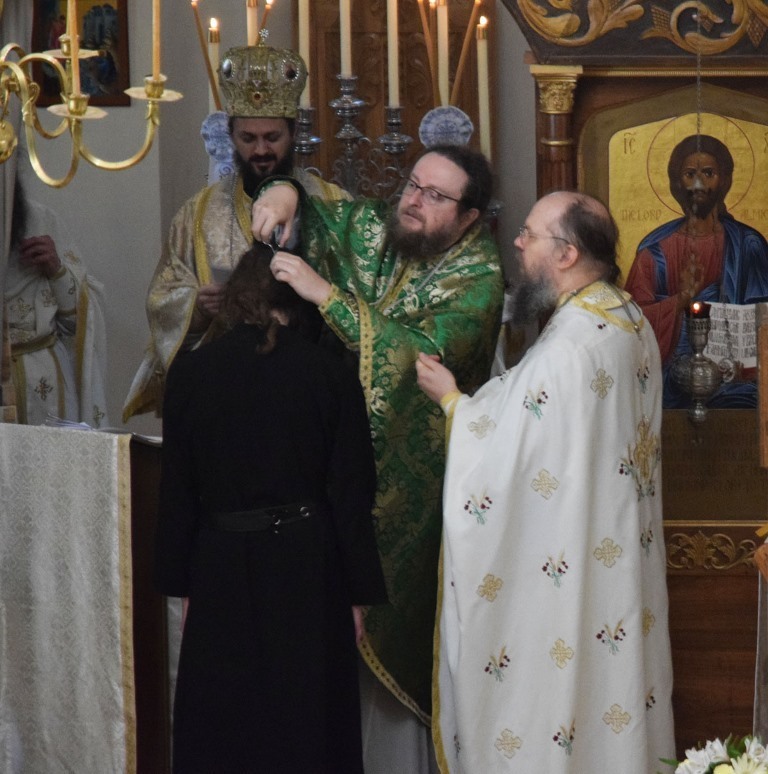 His Grace celebrated the Divine Liturgy, with five priests concelebrating: the two fathers from Dečani; Abbot Damascene and Hieromonk Paisius of St. Herman's; Priest Nektarios Rozadilla of the St. George Greek Orthodox Church in Redding, California; and Priest George Elliott of the St. Andrew Serbian Orthodox Church in Anderson, California. 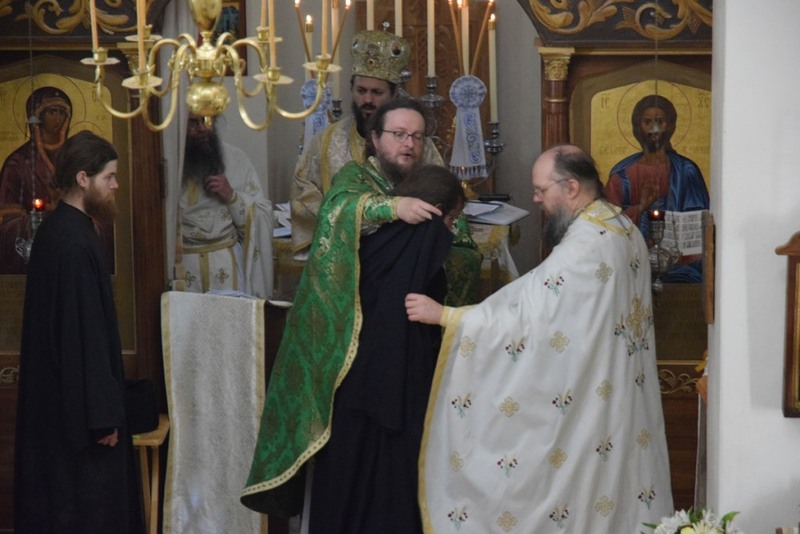 During the Liturgy, Abbot Sava tonsured a novice of the St. Herman Monastery, Br. 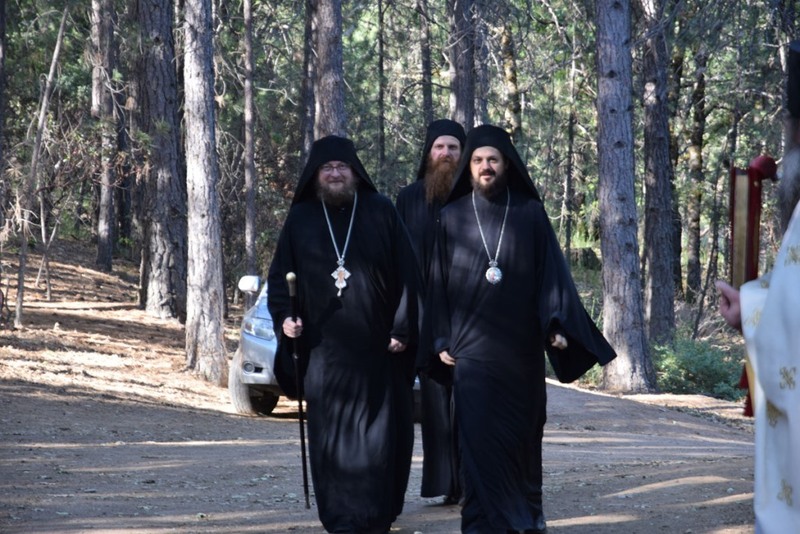 Patrick, as a riassaphore-monk, with the new name of Cassian, after the great monastic father St. John Cassian. 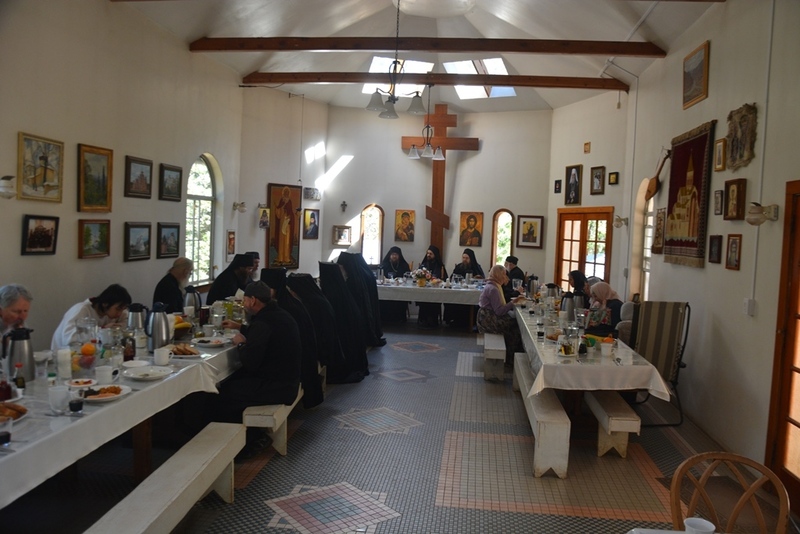 At the trapeza meal, Abbot Sava shared with the monks, the nuns of St. Xenia Skete, and the pilgrims his reflections on the Christian life, and in particular on the life of suffering Orthodox Christians in the holy, crucified land of Kosovo and Metohija. 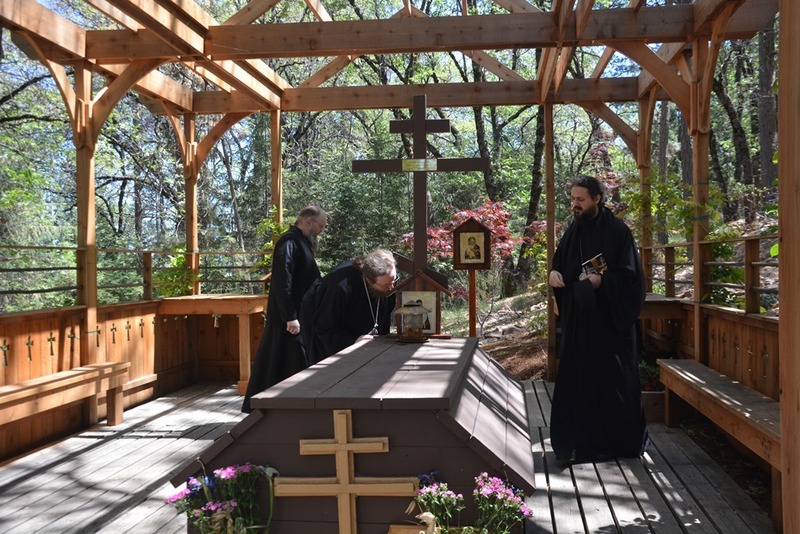 The Dečani fathers then visited the grave and cell of Hieromonk Seraphim (Rose) of blessed memory, and went with Bishop Maxim to visit St. Xenia Skete in Wildwood.